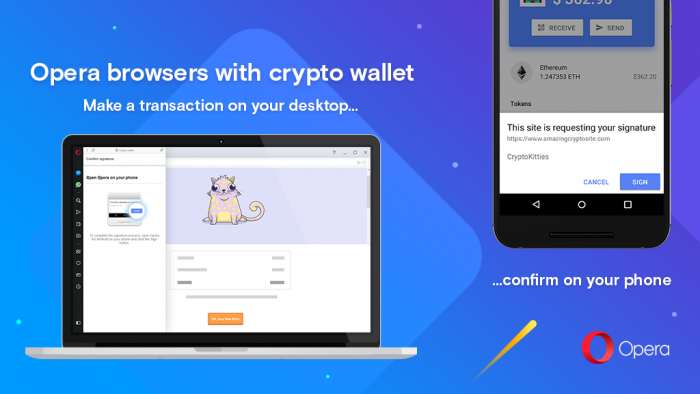 This means you can now pair your desktop browser with the built-in crypto wallet in your Opera for Android mobile browser. Every time a website or Dapp requires you to sign a transaction or message, a prompt will appear on your phone for you to confirm with your fingerprint. No need to set up a different wallet for desktop. Your wallet keys remain stored on the secure hardware of your mobile phone and are never transmitted. 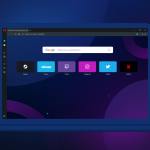 The Opera desktop browser Labs build will install on your system separately from your stable Opera browser. 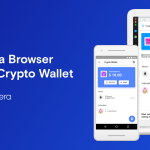 The crypto wallet in Opera for Android is a user-controlled wallet, which means that the keys controlling the funds and assets are stored on the user’s phone and nowhere else. The crypto wallet supports tokens and collectibles. Collectibles are digital, unique “things” you can own on a public blockchain. On July 11, 2018, Opera became the first major browser to introduce a built-in crypto wallet. Opera for Android with crypto wallet enables seamless transactions on Web 3.0, thus removing one of the biggest hurdles preventing cryptocurrencies from being adopted by the mainstream. 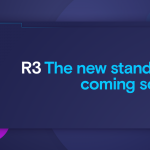 In August, we announced our plans to enable built-in crypto wallet integration in our desktop product. That’s the promise we are delivering on now. On Sept. 7, Opera also became the first browser to let you send crypto collectibles directly from your wallet to other crypto wallet users. The Opera desktop browser with built-in crypto wallet is about to be shipped to the private beta testers of Opera for Android with crypto wallet. We appreciate your steady feedback and are looking forward to more! Now go to a site such as https://www.airswap.io or https://www.cryptokitties.co to use the new functionality! Don’t have the private beta of Opera for Android with crypto wallet yet?